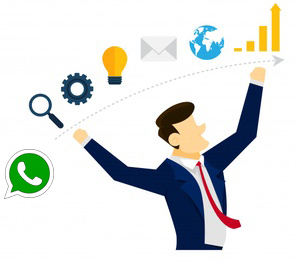 Since MLM industry is the most dynamic industry, we have tried to provide an equal dynamic solution with the help of WhatsApp. Here are the list benefits of using WhatsApp in your MLM Company. It easy for your Direct Marketing Company to be in touch with your members. 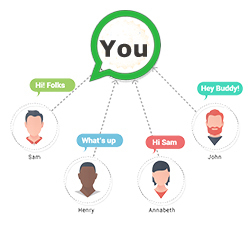 When we think of a easy, free, simple tool which can be a link between your member and your Multi Level Marketing company, WhatsApp is always the first choice. No need to install any additional app to get service. You don't need to give training to any one to use WhatsApp. Simplicity is the strength. The commands are simple and easy. Members can easily get all the information they required in no time. Now there is nothing better then FREE. 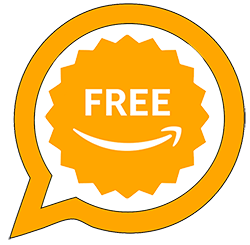 For members to use the WhatsApp services to connect to your Network Marketing Company, its totally free for them. They don't have to spend any additional cost and can enjoy unlimited services. Marketing is the most important part in any business. With the help of WhatsApp, MLM companies can promote their business with minimum cost and that too very fast and effective way. The challenges of Multi Level Marketing companies for doing marketing comes to zero. The biggest challenge of any Network Marketing company is to keep the motivation level of their members high. As we have seen that a company starts with a bang comes down as time goes. This definitely effect sales. 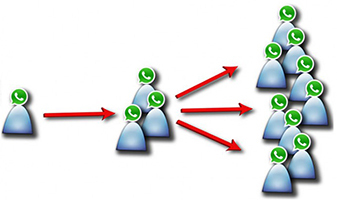 With the help of WhatsApp, MLM companies can daily be in touch with their Members. They can keep feeding them with the product information, activities, meetings etc via WhatsApp. 6. Direct access with Management. As we have seen in past, when a MLM company grows. The distance between members and the management of the company keeps increasing. This way the information, motivation, training and culture doesn't reach to the member fast. Which leads to Members frustrations and also effect company revenue. 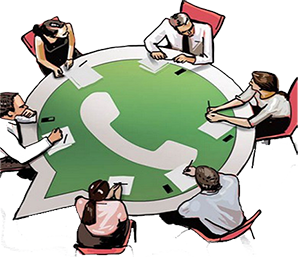 By WhatsApp, Members can anytime ask for specific information and will be getting the reply quickly. This increase trust and transparency. 7. Any time, Any where Service. MLM is a 24x7 job. Hence members need help any time. With WhatsApp, MLM company can promise their Members to serve them any time. Also there is no geographical limitations. A Member sitting in Mumbai can get all the information in seconds, even when the company is in Delhi. Printing and distributing brochures, leaflets, pamphlet, making PPT, promotional videos is always a slow and costly method for promotion. Also the reach of these things is limited. MLM Companies can't afford to send expensive brochures to all members. This makes Members completely handicap while doing sales. But with the help of WhatsApp promotion material is almost free to distribute. You can quickly pass latest videos, presentations and other promotional material to millions of Members. As it says "a penny saved is a penny earned". Cost cutting is the biggest challenge in any business. WhatsApp integration with software will reduce staff dependency and will also increase response time. With less staff and high response time, MLM companies can gain more trust from their members. 10. Less clerical work, means more time and efforts in Business Growth. We have seen in past, MLM companies management, working like managers and doing clerical work. This is a biggest loss of opportunities. Since the management should always be in field, rest all clerical work should be handled by software. And with WhatsApp, things are easy and fast. Now management can focus on growth and can still able to manage the show. 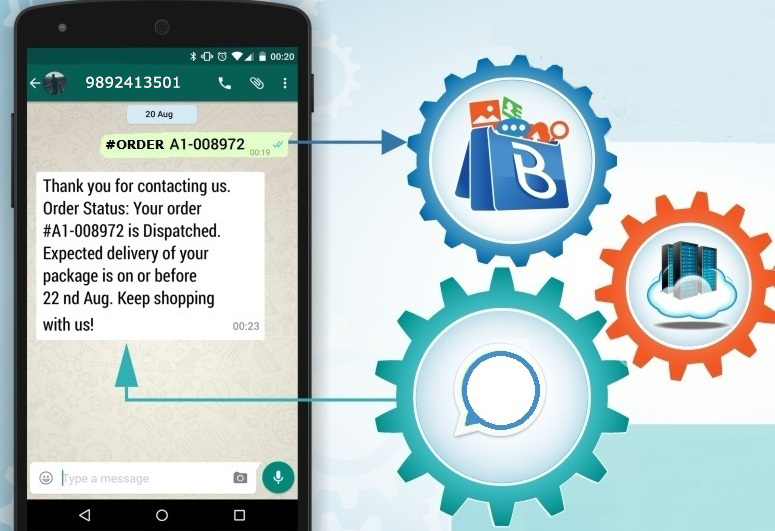 There are many other benefits of using WhatsApp API services in your MLM business. We will be happy to give you a FREE DEMO and would like to know what other challenges you have which we can solve with WhatsApp API. 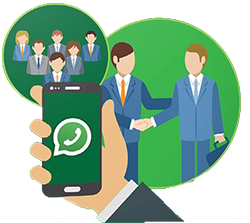 Why to use whatsapp for MLM Industry? Ans. It's an easy and quick response tool. 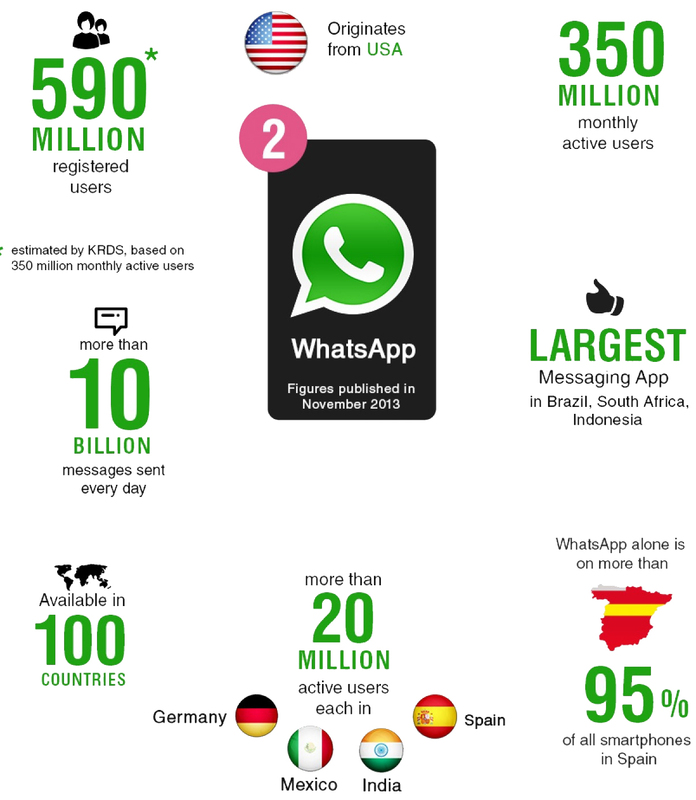 Advantage of Whatsapp in Mlm Industry? Ans. 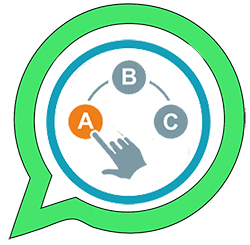 One can use group message facility and even broad casting facility of Whatsapp and enjoy cost-free messaging. How will it help to make money for MLM company? Ans. As it will save lot of time of leaders, one can concentrate on marketing and promoting their companies. Company can even send creative offers and promotion to their customers. How will it be beneficial for the people who have join the company? Ans. One can get quick and correct response, without any delay. Infact this will help to increase the trust of the client towards the company. As this help to build direct rapport with the company. How long will it take to integrate and what will be the cost? Ans. One week to go live and its really suites your pocket.